When I went off on my 10 day scouting trip to the West Coast last month I had all my beauty accoutrements in place that I have been using with success out here in the boonies. When I landed in L.A. I realized immediately I was going to need the ‘harder’ stuff. I don’t know if it was all night travel, airplane cabin pressure or what have you, but my skin was looking a little worse for wear. I knew I was meeting a lot of people for the first time and I didn’t want to scare them off so I made a quick a.m. pit stop at Sephora. I am not a big foundation fan, I have a problem with texture, I believe a lot of you that like the BB creams have the same issue; I just don’t want to feel anything heavy, sticky or make-up like on my visage, but I needed to cover all the multitude of problems that had cropped up on that cross country/no sleep flight. 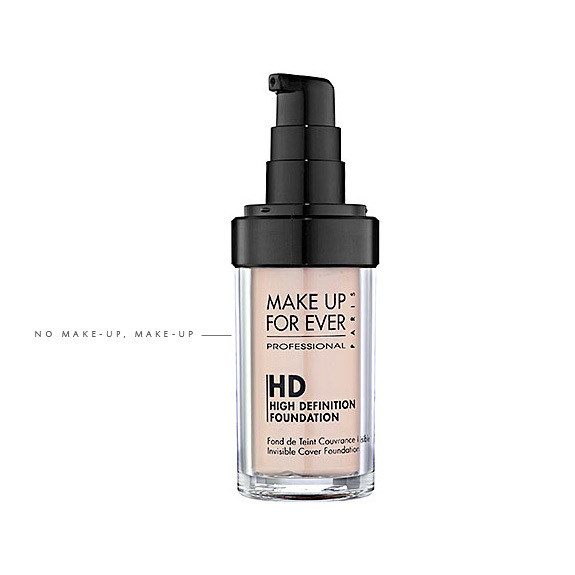 I asked a few make-up artists what they would recommend and it seemed a resounding double thumbs up for a new product on the market from Make up For Ever–Their HD Foundation. The HD stands for High Definition and what it does is allow a camera to get right up in your face and your skin will still look natural (ie. texture, it’s real skin! ), the same holds true for the human eye, your skin will look like skin, such a novel idea! The consistency of the product is also very light, for some it might be too light, it has the consistency of water, which means you will need to use sparingly and build and also be careful. I wouldn’t be using this on the commuter train into work, this is in front of your bathroom sink mirror use only. I like to apply all my face coverage (that includes BB creams) with a brush. I am notoriously heavy handed so a brush prevents me from looking like the actress from the former Drew Carey show. I picked up my brushes from Ulta, they were a great price for the quality, these brushes are amazing, they leave a beautiful finished look and you won’t look like you are wearing much make-up (even if you are). Yes, using brushes means that you will most likely use more product, but for me it’s a fair trade to not go out looking like a lady of the night. In the beginning using a brush may seem like it’s more time consuming but I can get my make-up on and my brushes cleaned in mere minutes, it’s really about practice. So, what are my thoughts on the HD Make-up? I love it! 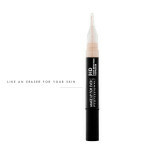 For a foundation it’s amazing, it doesn’t feel heavy and it works very well with my dry skin. I don’t know how it would work on an oilier complexion, but it should work great on normal skin. It’s easy to use (if you are near a sink), it covers extremely well and you can build coverage. It covered my blemishes from travel and hyper pigmentation without a problem. I didn’t feel ‘masky’ wearing it and it lasted the entire day for me (I did wear a light mineral powder with it if I knew I was going to be gone all day). You could mix this with your BB cream if you wanted more coverage than your BB cream may give you. Have any of you tried this product? What are your thoughts? It is a bit spendy, but I don’t use a lot so I think it works out per use and there’s currently nothing like it on the Drug Store front that would be comparable. 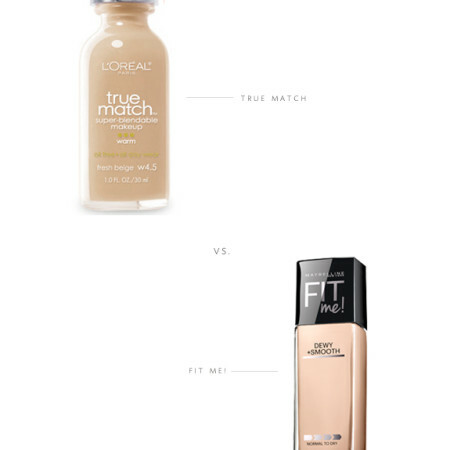 I should try this…I use Laura Mercier tinted moisturizer mainly…I was not familiar with “HD” makeup, wow! Don’t worry-everyone needs something heavier after a long flight, ha! That used to be my go-to before I discovered the magical world of BB creams! I can opt-out of a concealer if I use the BB cream, but seriously that 10 day trip, I needed some extra help, I did not look too pretty, lol. This is also the foundation that I wear. I absolutely love it. It’s light but also provides great coverage. I also use the concealer and it works great for dark circles. I too have dry skin and I use it on top of La Mer soft cream. My makeup stays all day and into the night with very little touch ups. I have never tried the La Mer cream, but don’t know if I have ever heard of the ‘soft’ cream. I am a freak if anything feels waxy, but they never are willing to give samples at the La Mer counter so I have yet to try! I had the make-up artist at the store color match for me and I actually bought the concealer prior to the foundation since I usually just like a more simple look concealer with a tinted moisturizer or BB creme. I love it, my friend used mine and went out that afternoon and bought herself one it was that impressive to her! Hi Tristan! We met in Santa Barbara at Jen Huang’s workshop and I’ve been following and loving your blog ever since! I’ve tried the HD makeup but had trouble finding the right shade–have you tried any of Giorgio Armani’s? I like the Luminous Silk for when I need a bit more makeup, but I loove the Maestro foundation when my skin is behaving–it’s this light oil-based stuff that is MAGIC for evening out your skin tone but looking totally like “your skin but better.” I picked up a tube of the Falsies mascara based on you recommendation and am really liking it! Good luck with your impending move, have you told us where you’re going yet? Hello Sarisa! I do own the Georgio Armani foundation I am not sure which kind it is. I got it when an advertiser for my corporate job was trying to solicit us and gave me the worlds ugliest platter from Neiman Marcus, my boss let me keep it and I returned it to Neiman Marcus and was able to get this incredibly expensive foundation ($85 yikes!!) I only wear it on special occasions which I know is not good since there aren’t too many of those out here in the wild, lol. I have not announced my move yet, I planned to but this week got away from me! And thank you for reading, I am so flattered!